Also, this recipe can take a while to make since you have to grill the zucchini “noodles”, but believe me, it’s totally worth it and gives it a great flavor. As you can see I really grilled the bejeezus out of these zucchinis. 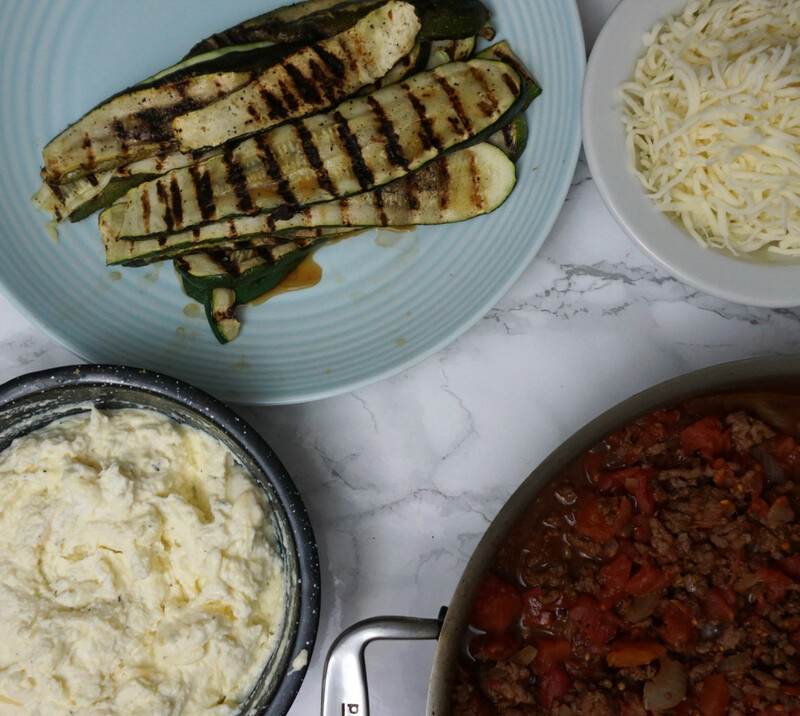 Since zucchini is packed with water you want to get as much moisture out of the zucchini as possible (without burning it to a crisp of course). 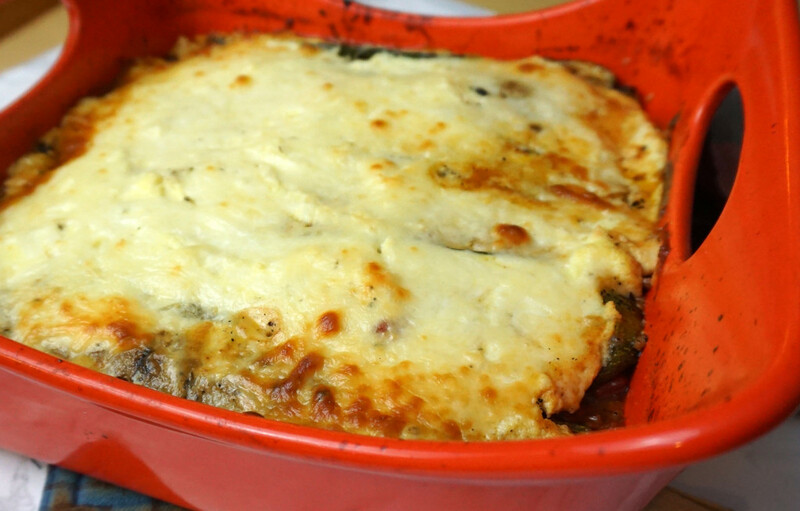 Salting the zucchini prior to grilling gives you a head start on this. If you have a mandolin slicer then you should totally use that to make even slices. I clearly do not own a mandolin, so I went with the more “rustic” look. I also had some layering issues, but to fix that I’d hold back on the layers of sauce next time so I could get some on the top layer. So despite some imperfections in execution this was still very tasty! One thing I wanted to try in this recipe was a trick to keep ground beef moist that I read about in my new Cooks Illustrated. It suggested putting a very small amount of baking soda into the ground beef while it cooks. I know – sounds odd, but it totally worked! I took about half a teaspoon of baking soda and mixed it with about a tablespoon water and mixed it in with the cooking beef. It was kind of crazy how well it worked. I used a very lean beef and the beef didn’t dry up at all – even with a lot of time on the stove. I feel like it also browned better. I am going to absolutely use this trick from now on! In a medium sauce pan add olive oil to the pan and saute garlic and onions about 3-4 minutes. push onions and garlic to the side of the pan and add meat. Mix ½ tsp baking soda with 1 TB water and add to meat. Brown meat and season with salt and 2 tsp Italian seasoning. When cooked drain in colander to remove any fat(I didn’t have any excess fat since the meat was lean). Add tomatoes, salt, and pepper. Simmer on low for at least 30-40 minutes, covered. Do not add extra water, the sauce should be thick. Meanwhile, slice zucchini into ⅛" thick slices, add lightly salt and set aside or 10 minutes. Zucchini has a lot of water when cooked, salting it takes out a lot of moisture. After 10 minutes, blot excess moisture with a paper towel. 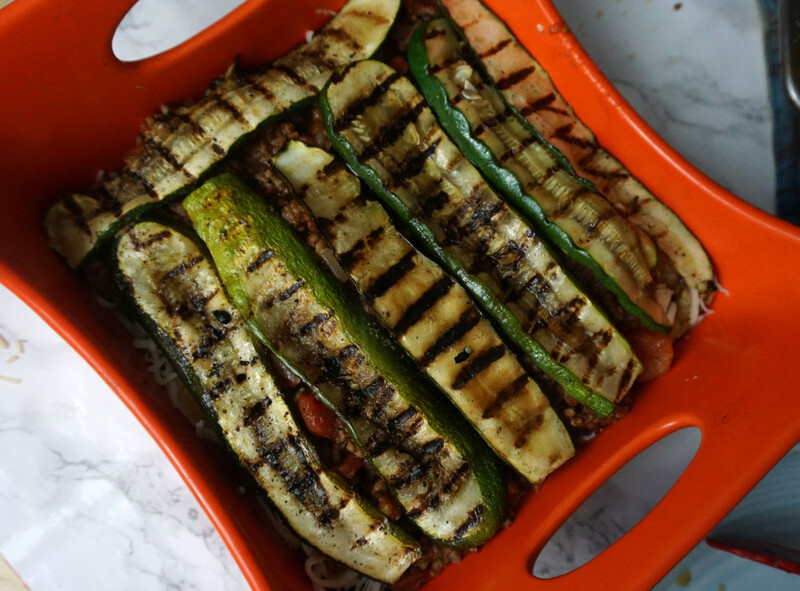 On a gas grill or grill pan, grill zucchini on each side, until cooked, about 2-3 minutes per side. While cooking season with garlic powder. 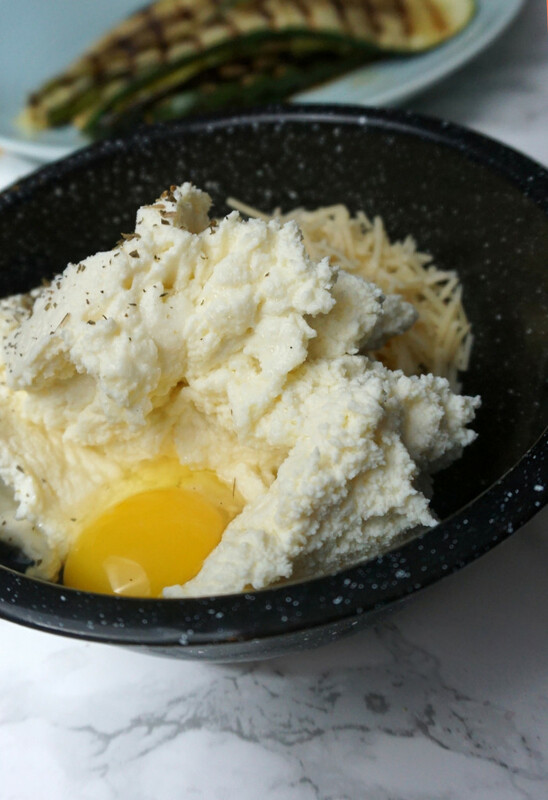 In a medium bowl mix ricotta cheese, parmesan cheese, 1 tsp Italian Seasoning, and egg. Stir well. 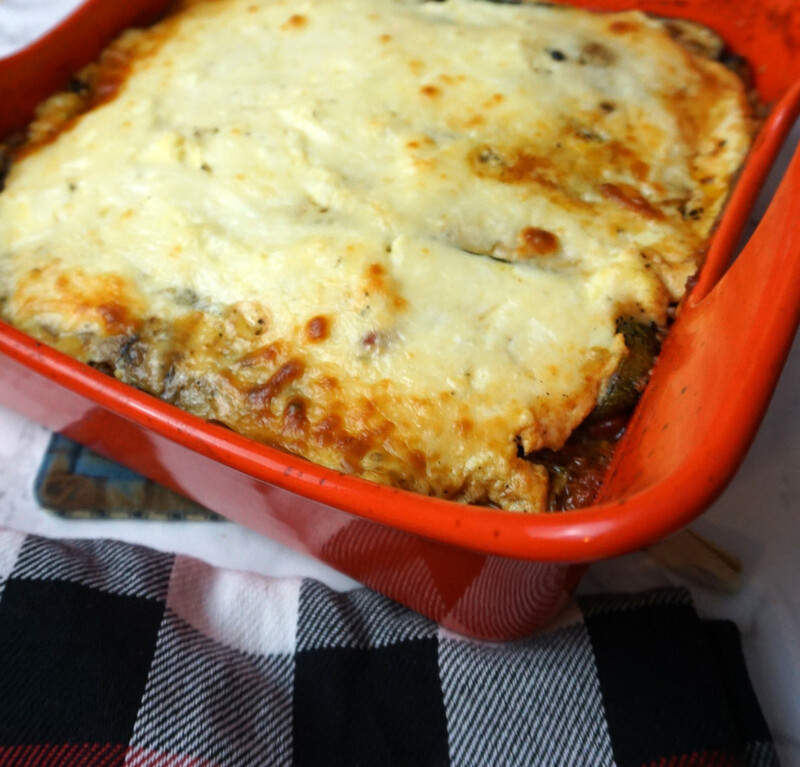 In a 9x9 casserole(you can also use a 9x12 and do thinner layers) spread some sauce on the bottom and layer the zucchini to cover. Then place some of the ricotta cheese mixture, then top with the mozzarella cheese and repeat the process until all your ingredients are used up. 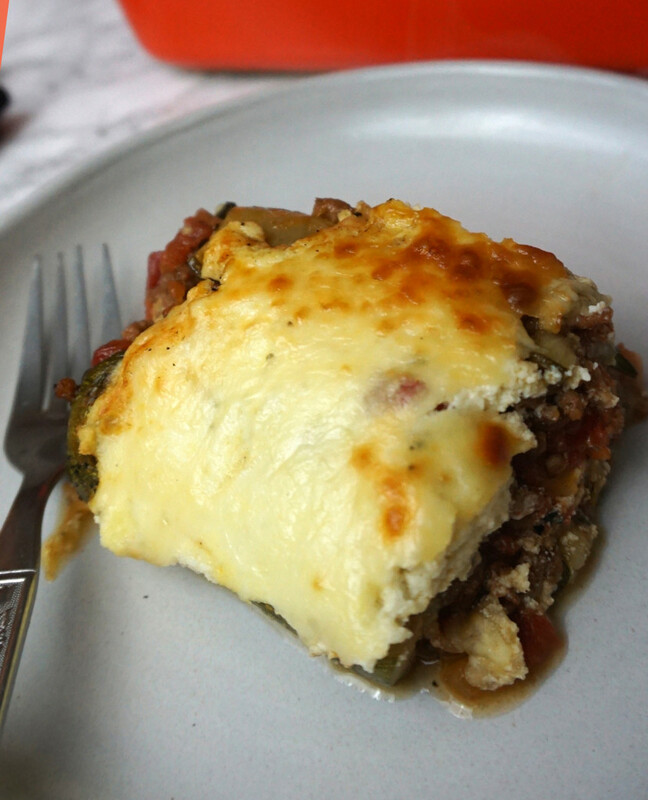 Top with sauce and mozzarella and cover with foil. Bake 30 minutes covered at 375°, then uncovered 15 minutes. Let stand about 5 - 10 minutes before serving.